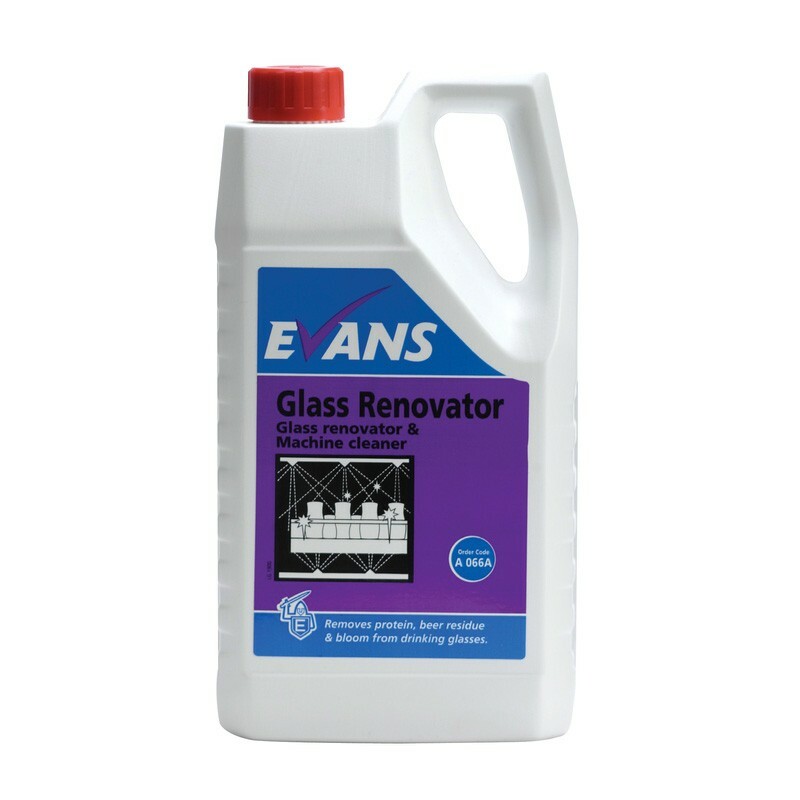 Evans Glass Renovator is a low foaming detergent formulated to remove protein deposits, beer residue and bloom from drinking glasses. The process also has the advantage of sanitising the glasswash machine in the same cleaning operation. Quickly removes protein and yeast from glassware. Returns glassware to the customer's satisfaction. Ideal for sanitising glasswash machines. Contains a pH of 13.7. Full case pack size - 2 x 2.5ltr. After the normal cleaning of glassware, if water droplets are visible on the side of the glass it indicates that the glasses require renovating. Withdraw the feeder tube from the normal glasswash detergent and place it into the Glass Renovator. Operate through the electronic dispenser unit at a ratio of 1-3ml per litre. Proceed to clean the glassware in the normal manner. Replace the feeder tube into the glasswash detergent when all glassware has been renovated. It is advisable to renovate glassware on a monthly basis and is best carried out at a busy period, i.e, weekends, to ensure product is completely pumped through the tubing to allow majority of glassware to be treated at least once. 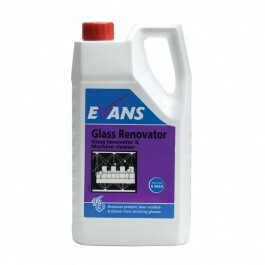 For best results use in conjunction with Evans Glasswashing products. If a high active glass or dishwash detergent is being used it is advisable to place the feeder tube into a container of clean water and use the machine 4 or 5 times in order to flush out the detergent, before connecting to the Glass Renovator. Please Note: Not to be used for hand glasswashing.